Pictured are : (Seated L-R) Betty, Nelin Rodes, Louise Hickman. (Standing L-R) M.K. Herrin, N.B. Jones, C. J___, Joseph? Mosely, ?, Allen Woolridge, ?, ?, Jos. B. Morgan, Jr., ?, Robert Rodes, ?, W. Clifton, Baylor Hickman. This is a copy print and names are cut off the top row of men. 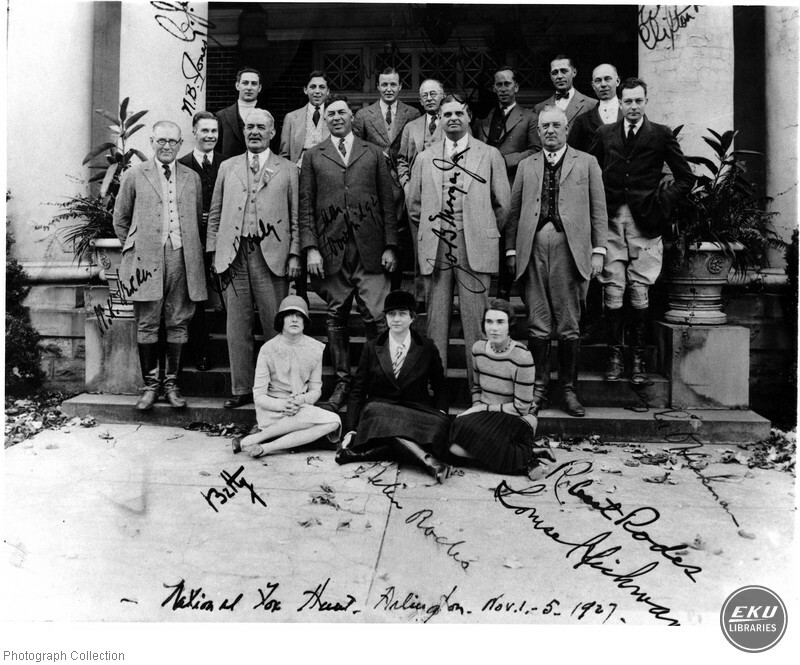 Unknown, “National Fox Hunt Attendees at Arlington,” Digital Collections, accessed April 25, 2019, https://digitalcollections.eku.edu/items/show/23480.